365 Lies – where is your money going in support of MNDA? Firstly – a huge thank you to everyone who bought my book on launch day yesterday, and to everyone who helped to spread the word about 365 Lies. In the first 24 hours I sold 27 copies (not bad for self published?) and from that we have made £45.04 profit that will be donated as soon as it’s paid into my Paypal. Secondly – I’ve mentioned before that all profits from sales of 365 Lies are going to go to charity, but I wanted to do a bit of an explanation and breakdown of that, so that you know where your money is actually going. The Motor Neurone Disease Association (MNDA) is Registered Charity No:294354. MND is a currently incurable progressive disease that attacks the nerves in the spinal cord and brain, meaning signals gradually stop reaching the muscles and weakness and wasting occur. The MND Association is the only national charity in England, Wales and Northern Ireland focused on improving care and support, funding vital research and campaigning to raise awareness for people affected by MND. The charity relies on voluntary donations. I knew early on in writing it that I wanted to donate profits from this book, but I wasn’t sure where to at first. Then my friend, editor, fellow writer and fellow member of Chester Writers, Adrian Benson, was diagnosed with MND and died earlier this year, so I decided upon the MNDA, for him. He was a uniquely talented author and will be very much missed by everyone who knew him. My books are all published by Mad Doctors of Literature and are available exclusively online from Lulu (print on demand). This means that there are printing, handling and shipping fees, with a small additional profit for the author – but 100% of that profit from 365 Lies will go to the MNDA, for as long as the book carries on selling. These are the only ebook formats that Lulu currently supports. You shouldn’t have any problems with them but if you do, you can convert to .mobi (Kindle) for free online here. Lulu runs frequent discount offers on print books – keep an eye on my Facebook for updates on when these happen, or check on the Lulu homepage for listed offers. I considered a Just Giving account or similar, for the ease of being able to transfer my Lulu payments straight to a page via Paypal, where people could clearly see the total raised to date. However, after speaking to my lovely MNDA contact Esther, it was decided to pay funds directly to the MNDA here. This means that additional admin fees from a donation account page can be avoided and more of your money goes direct to the charity. 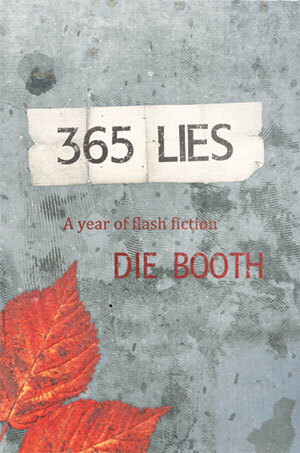 I get paid monthly from Lulu for any sales, so any profits from sales of 365 Lies will be paid monthly, if over £10. If there are less than £10 of sales in a given month, I’ll wait until the profits add up to £10 again before transferring the donation over. This will be for as long as the book sells copies. I will give regular updates on this website and my social media as to how much in total we’ve raised. I’ll aim for monthly updates, but obviously only when we’ve had any sales!